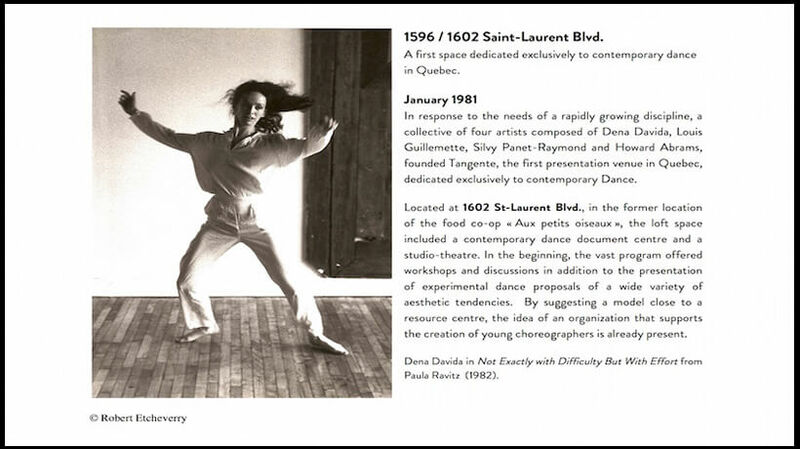 As a major figure in Montreal contemporary dance, Tangente has offered audiences an annual programme of emerging artists, for over 35 years. 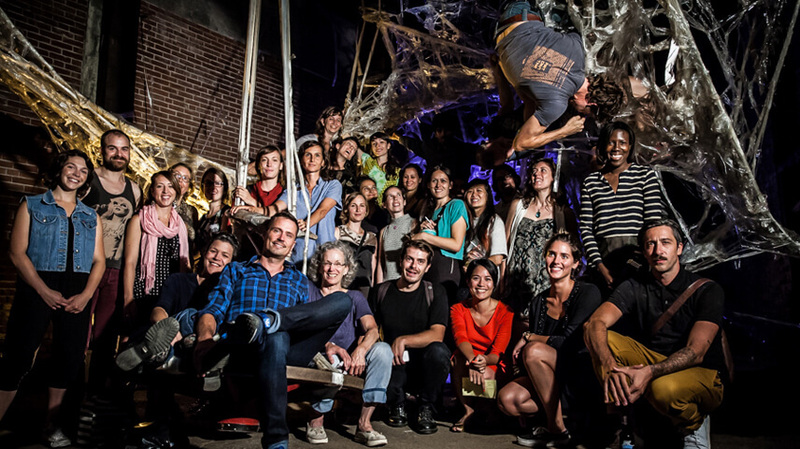 Since it’s foundation, more than 1,500 artists over three generations have benefited from the presenting space, supported in the implementation of a show and the presentation to audiences. Still today, Tangente offers young choreographers a first performance opportunity, a platform dedicated to innovation and novel ideas, and for audiences the chance to discover a multitude of highly original aesthetic visions of society, from these young dancemakers. 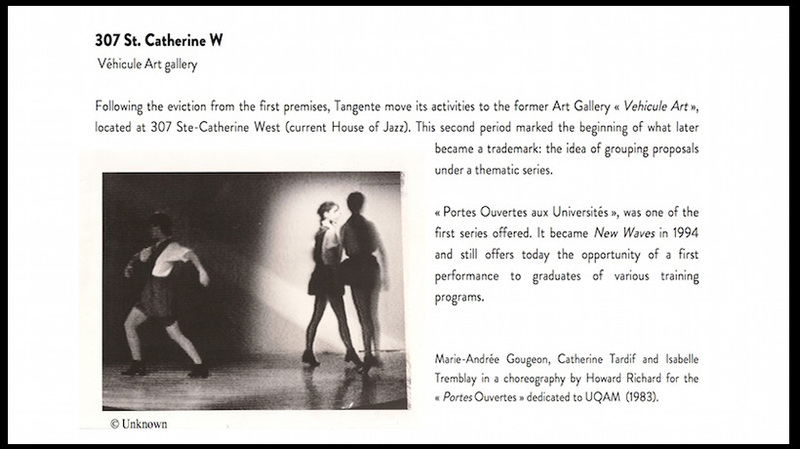 From the moment of its official opening at 1602 boulevard Saint-Laurent to its imminent integration within the project Espace danse in the Édifice Wilder, many different spaces have opened their doors to Tangente over time. By way of a selection of archival documents, we invite you to trace a pathway through the memories of these nomadic years, and so to discover the places, the choreographers, events and performance works that have written Tangente’s history. Tangente: 1596 / 1602 Saint-Laurent Blvd.